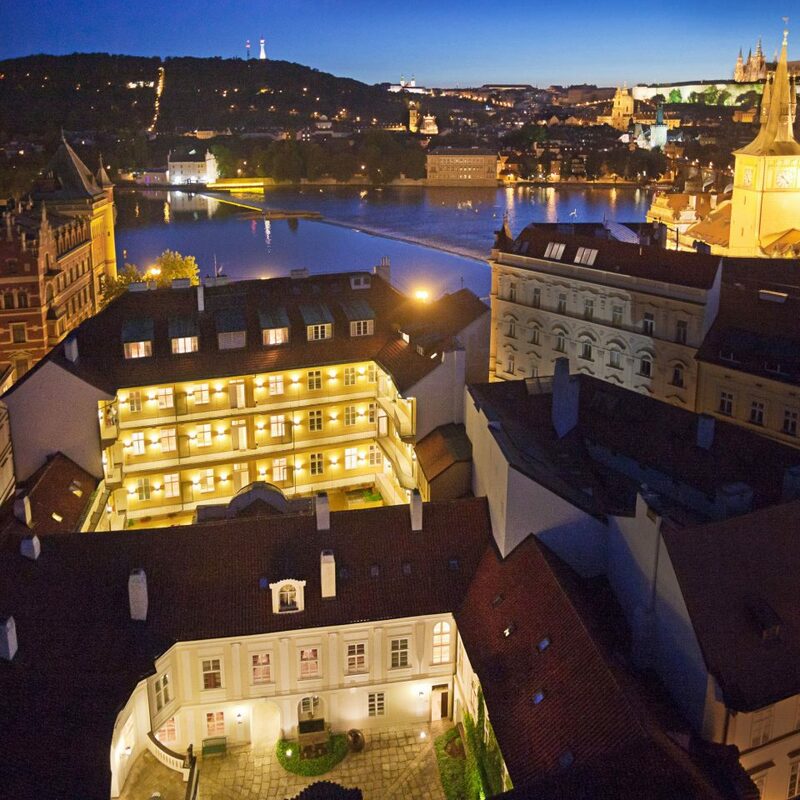 Steps from the city’s famed Charles Bridge, Pachtuv Palace’s location can’t be beat. 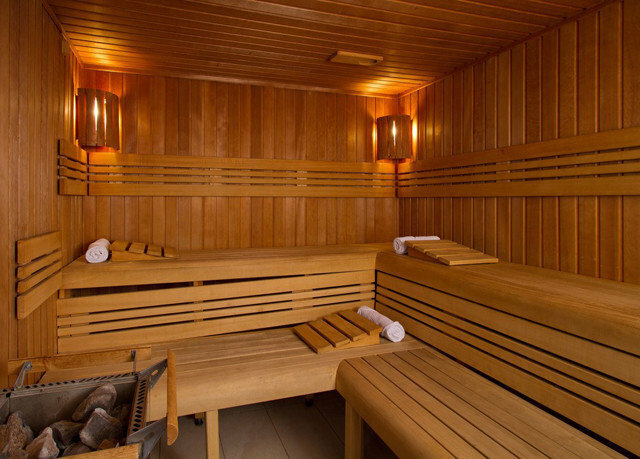 This regal 50-room retreat is one of the city’s oldest hotels, and its roots as a 17th-century nobleman’s residence are on show throughout. 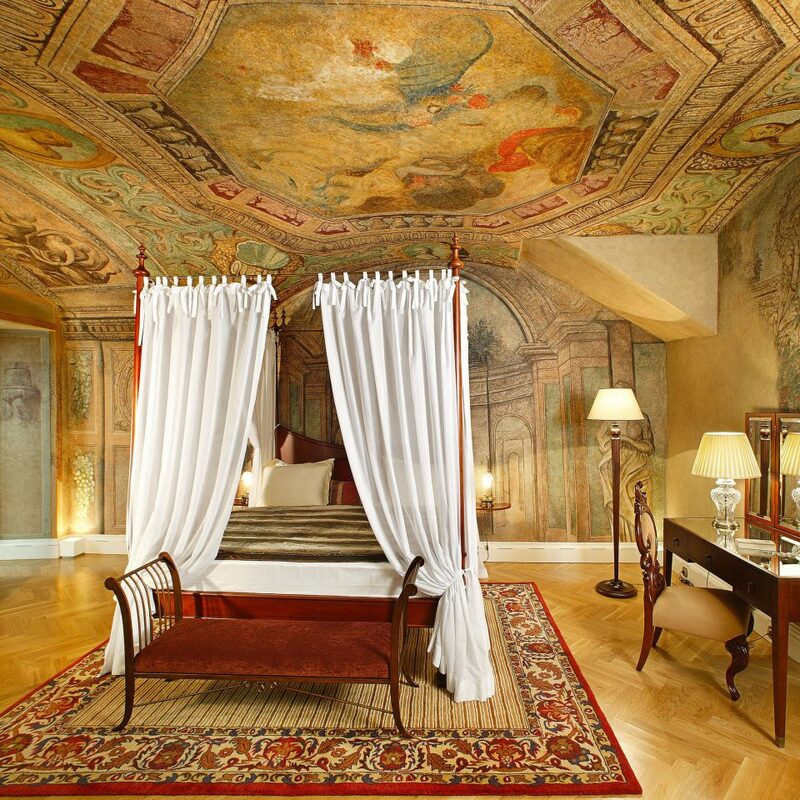 The former palace of Earl Karel Pachta, and once Mozart’s Prague digs, still has its original frescoes and vaulted chapel ceilings. The history is what makes the Pachtuv such a find. 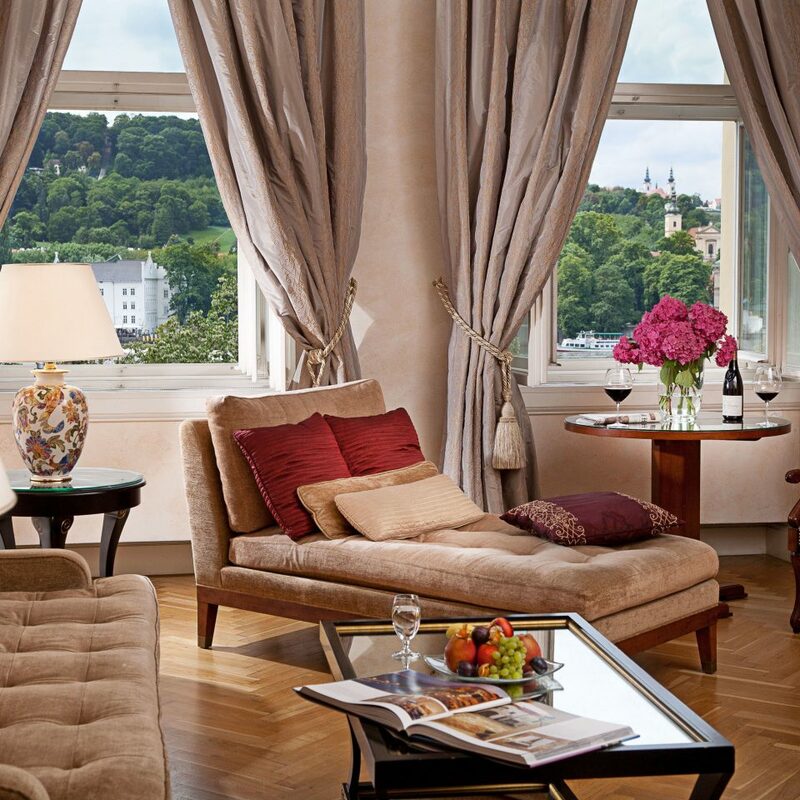 While countless hotels in Prague imitate the classic Baroque style, the Pachtuv actually delivers. It’s one palace that lives up to the billing. 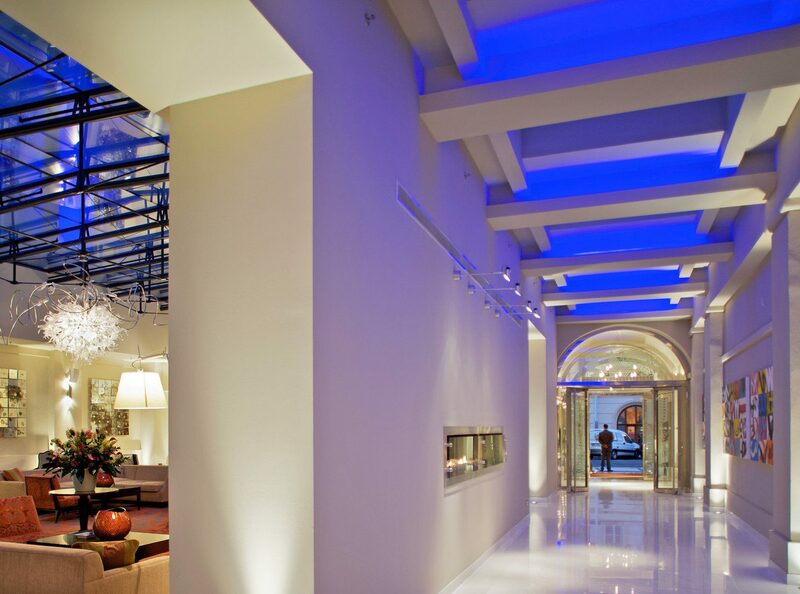 Baroque design permeates the hotel, from the exteriors through the public spaces and into the guestrooms. 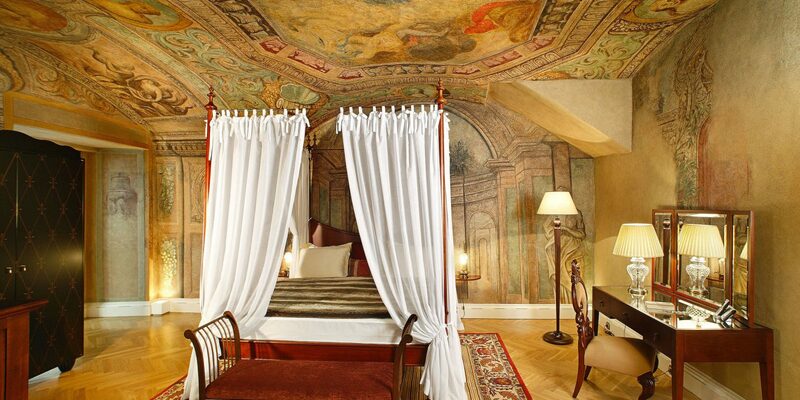 All of which have parquet floors, comfortable four-poster beds and chandeliers that drip opulence. Among the few nods to modernity are flat-screen TVs and high-speed Internet, but otherwise the style is straight out of the 1600s. 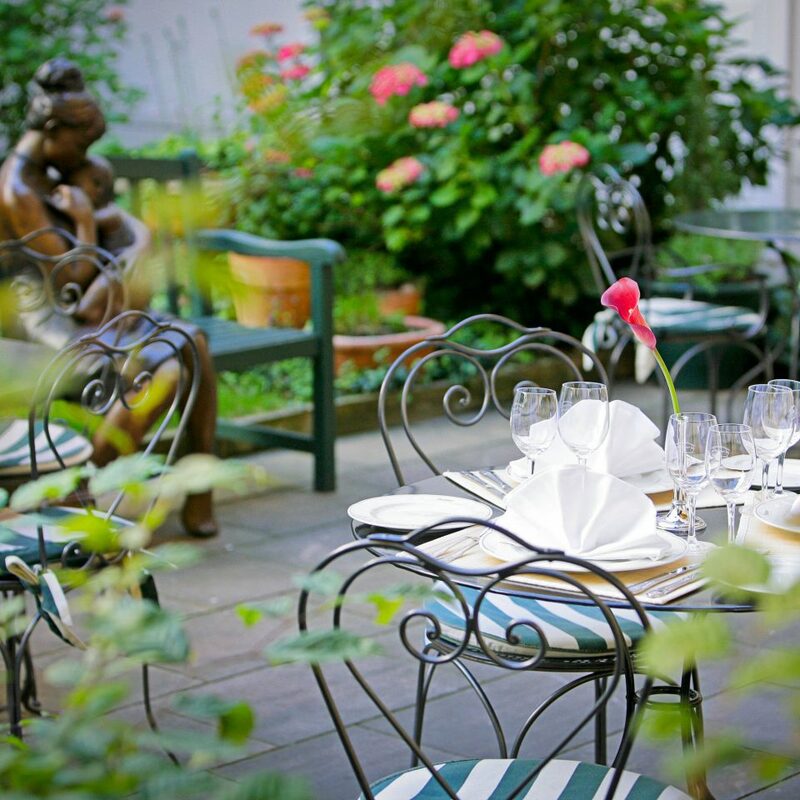 There’s a courtyard for taking a coffee (or beer) break in the afternoon, while in the morning guests can sample one of the city’s best hotel breakfast spreads alfresco. 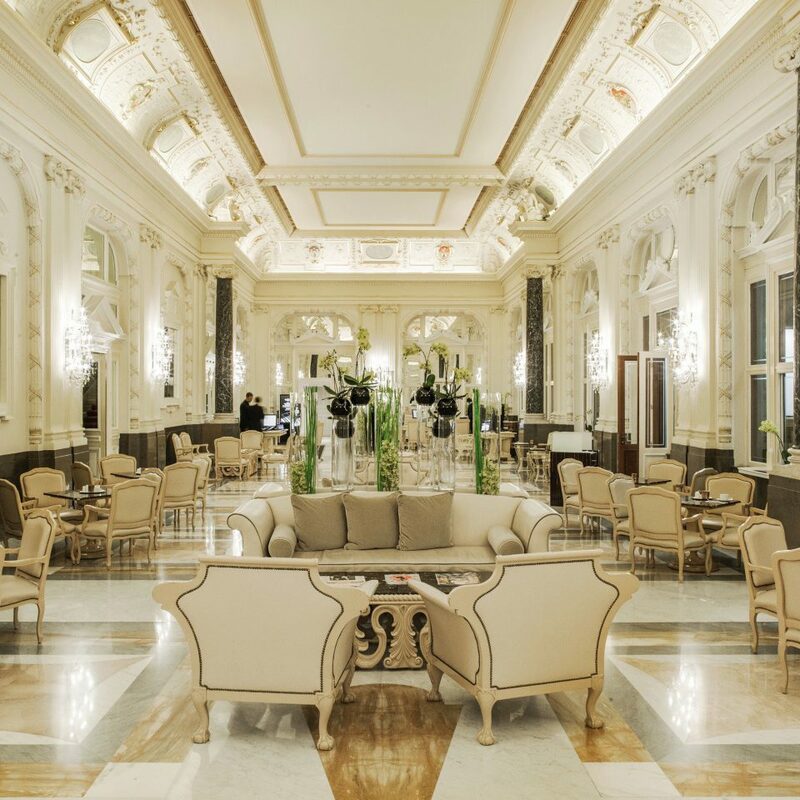 It’s a European café experience, all within the confines of the property. But the city is right outside. 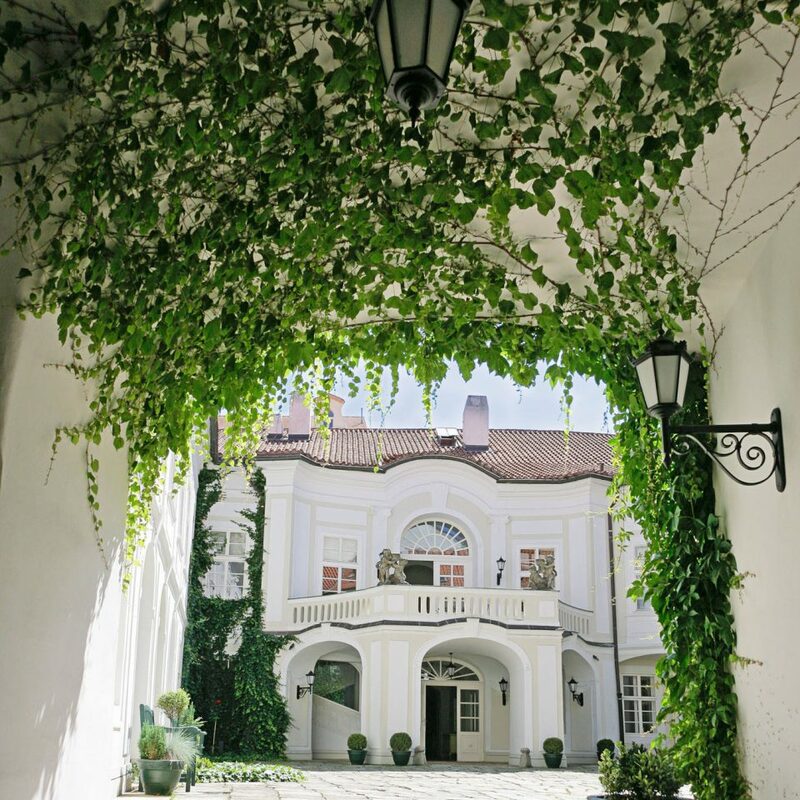 The palace is the closest hotel to the Charles Bridge, the historic structure that connects Old Town to the Malá Strana. From the castle on the hill (visible from most rooms) to the trams whizzing by on the street, there’s a sense of Prague all around. Mozart stayed here and dedicated six sonatas to the owner as payment. Unfortunately, music isn’t an accepted form of currency anymore. 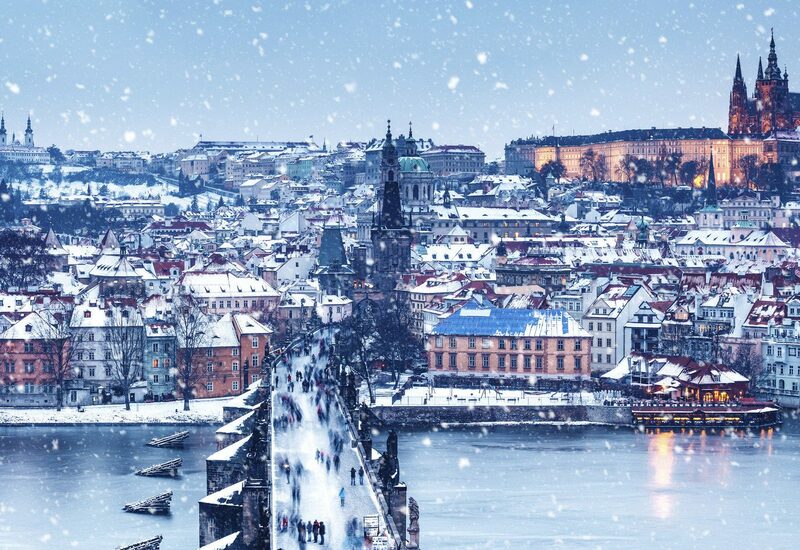 Don’t overlook the quintessential Prague experience of Tram 22, which runs from Namesti Miru past the National Theater, across the Vltava River and up to Prague Castle. Stroll nearby Havlickovy Sady Park, the Prague Castle grounds or the more untamed Vysehrad ruins. 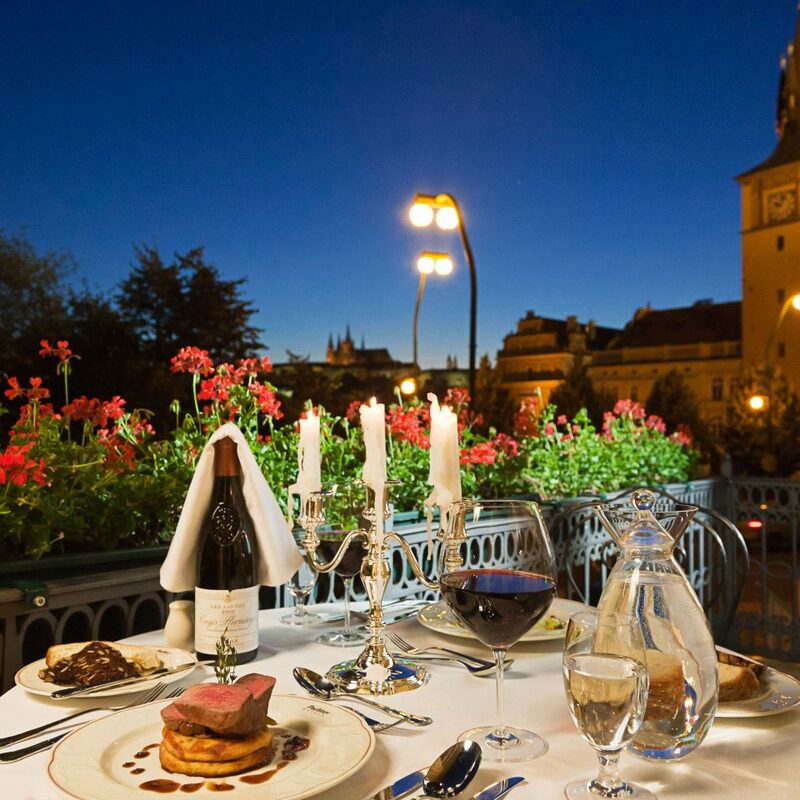 Bellevue is one of Prague’s first high-end restaurants, just steps from the hotel; Il Giardino serves delicious Italian dishes. After dinner, dress up for a performance by the Czech Philharmonic in the historic riverside Rudolfinum auditorium. Stayed at the Smetana from March 26 thru March 31. 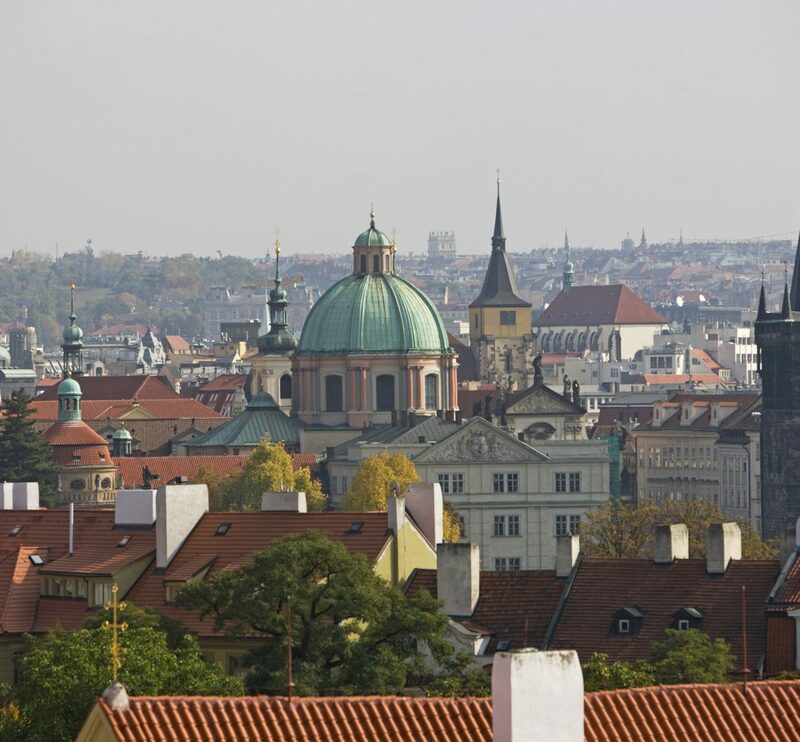 The hotel is in a great location and a 2 minute walk to the Charles Bridge. We stayed in a family suite which had 2 br 2 bathrooms and was a huge suite. The people working the front desk were great and willing to help any way they could to make our stay better. We did eat in the restaurant for breakfast daily and had dinner on one occasion and it was very good. Over all a great stay. 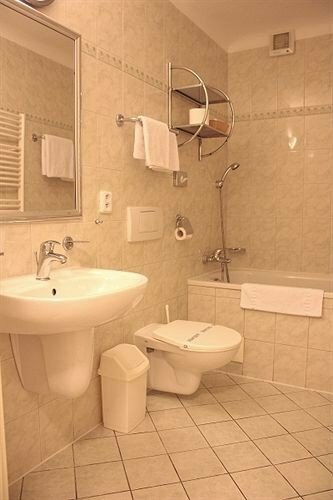 The managers on reception were absolutely helpfully like a deserve in private hotel.I ordered airport pick up and it were spacious Mercedes in time. Great location and own court. The breakfast very good only maybe some kasha have to add in. If you with car just keep in mind you have to park in 10 min walk. I have seen the recons in the room , the owner is reconstructing the hotel by dividing rooms, it’s so pity!!! In my understanding spacious rooms were the main advantage. This hotel was named pachtuv palace a few years back, it was splendid. They have since changed the name and it has fallen of the rails, and the quality has gone down across the board. A real shame because it has so much potential. Great Hotel, perfect Location, super Service!!! We had a perfect stay in Smetana Hotel. The location is great, most interesting points of Praha could be check by feet...everything was great, the breakfast, the service an of course our Deluxe Suite!!! 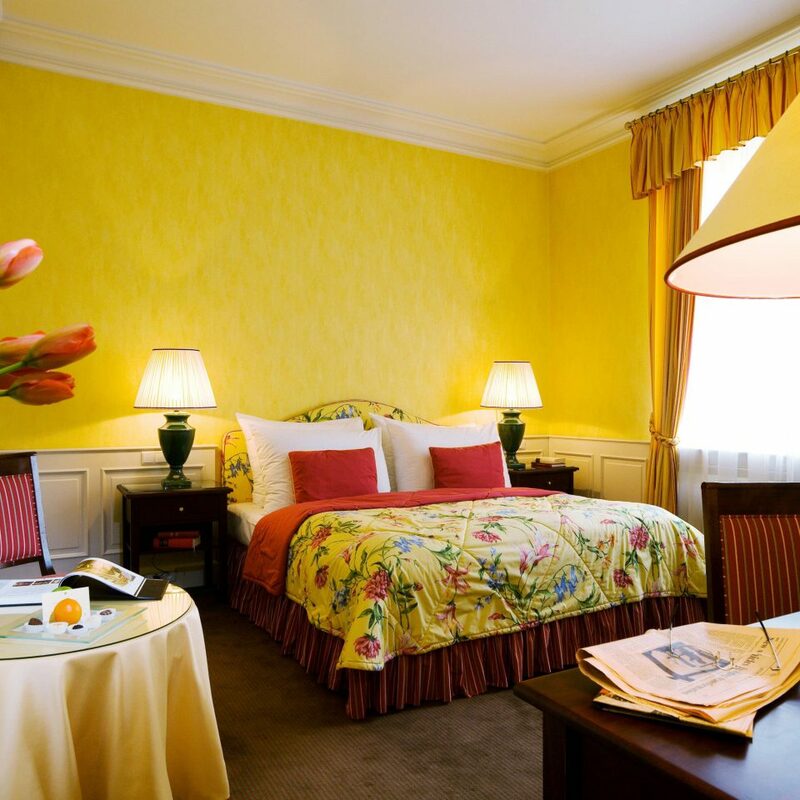 So nice and cozy hotel! Top service, all the employees are so lovely and professional!! The rooms are very nice and quiet, we had a lovely experience!! The breakfast is very good quality and various. Thank you all the staff!